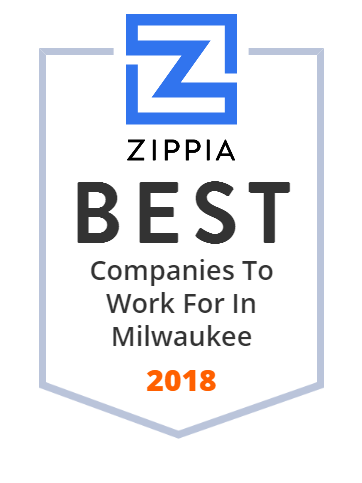 We hand-curated a list of the best companies to work for headquartered in and around Milwaukee, WI using data on salaries, company financial health, and employee diversity. Rexnord Corporation is a Milwaukee, Wisconsin-based company listed on the New York Stock Exchange (NYSE: RXN). It was founded in 1891 by Christopher Levalley and incorporated in 1892 as the Chain Belt Company. It had "$67.5 million in profit and $1.9 billion in sales" in 2016. The company was the focus of a critical investigation by the New York Times . Roundy's Supermarkets is a supermarket chain with 166 stores and 99 pharmacies in Wisconsin and Illinois. Aurora Health Care is a not-for-profit health care system headquartered in Milwaukee and serving eastern Wisconsin. Brady Corporation is a manufacturer of products for identifying components used in workplaces. Headquartered in Milwaukee, Wisconsin, Brady employs 6,600 people in North and South America, Europe, Asia and Australia. Brady Corporation was founded as W.H. Brady Co. in Eau Claire, Wis., in 1914 by William H. Brady. In 1984, the company went public and began trading on the NASDAQ market. In 1998, W.H. Brady Co. became Brady Corporation and in 1999, the company began trading on the New York Stock Exchange under ticker symbol BRC. Today Brady has more than 1 million customers and net sales for 2013/14 were $1.225 billion. Milwaukee Public Schools is the largest school district in Wisconsin. Water Street Brewery is Milwaukee's Oldest Brew Pub since 1987 A landmark on Water Street for 25 years. Open daily at 11:00am. Full lunch and dinner menu. Great atmosphere. Great beer. Great food. Marquette University /mɑːrˈkɛt/ is a private, coeducational Catholic university located in Milwaukee, Wisconsin, in the central United States.